The Zondervan Reader’s Greek New Testament has undergone vast improvements in its Greek font since its first eye-hurting edition. Now in its 3rd edition, the lightweight, handsome, and well-constructed Reader’s Bible is perfect for sticking in a satchel to be able to read the Greek New Testament in transit. The text here is the Greek that underlies the New International Version—so not an exact match with the Nestle-Aland 28th edition. However, there are notes that point out where this Greek text and the NA28/UBS5 differ. For the purposes of reading through the Greek New Testament (the aim of this edition), I found the (minor) differences wholly inconsequential. And there are no verb parsings—just a list of possible glosses for each word (without a decision made based on context). Overall I think the UBS5 Reader’s GNT is the best on the market, but the improved font, feel, and portability of the Zondervan Reader make it worth exploring. And if you’re going to own two Reader’s Greek New Testaments (because why not?? ), it’s nice to be able to switch between the UBS5 and this one, which is more affordable. You can find the book here (Zondervan) and here (Amazon). See also my recent review of the UBS5 Reader’s Edition here. Thanks to Zondervan for the review copy, given for the purposes of this write-up, but with no expectation as to the content of my review. Typesetting is somewhat subjective, but the German Bible Society’s UBS5 has some of the best-looking Greek text you’ll find in any New Testament. The UBS5 Reader’s Edition significantly pares down the textual apparatus and in its place provides a running list of infrequently occurring Greek vocabulary. As the name implies, the Reader’s Edition is a one-stop shop that facilitates fluid reading of the Greek text, even for those who have had just a year or so of Greek studies. The “textual notes” here just “highlight the most important differences between major Greek manuscripts and identify Old Testament references in the margins,” the latter of which I have found really useful. As for the footnoted vocabulary, any word that occurs 30 times or less in the Greek New Testament has a “contextual” gloss (short translation equivalent) next to it. What I really like about this volume in contrast to the Zondervan Reader’s Edition is that there are verb parsings and noun genders listed with the vocabulary. This helps me not just to know what a word means in its context, but provides occasion to review verbal forms—something that can slip surprisingly quickly without review! Everything on the bottom of the page is easy to scan, too, as it is in two columns, not all jumbled together as some other reader’s editions have it. Between the aesthetically pleasing font and the vocabulary and parsings, this is the best reader’s edition on the market. I’ve found parsing errors in the previous UBS Reader’s Edition. No doubt there have been corrections in this one. I cannot recall coming across any errors so far, and I’ve been using it off and on for at least a year of reading. If a vocabulary word is not glossed at the bottom (i.e., you don’t know your vocabulary down to 30 occurrences), there is a concise Greek-English dictionary in the back of the Bible. Yes! Just about everything you need for Greek reading is here. The only potential annoyance I can think of is that sometimes if a word is glossed already on page (n), when it occurs again on page (n+1) it is not always listed on that page—you have to flip back a page. Sometimes it’s not even footnoted when repeated, but then you recall that you just saw it (hopefully). The inclusion of a high-quality ribbon marker is icing on the cake. Finally, I have to say I was a little saddened that a beautiful typo (found in the UBS5 stand-alone and UBS5-NIV11 diglot and even previous UBS Reader’s Edition) is corrected in this edition! For the better, I suppose. You can find the UBS5 Reader’s Edition here at Whole Foo—I mean, Amazon, here at Hendrickson, here at GBS, and here at CBD. There is both a hardcover edition (what is pictured in this post) and a slightly more expensive imitation leather edition. Thanks to Hendrickson for the review copy, given for the purposes of this write-up, but with no expectation as to the content of my review. Runtastic has probably the best running app on the market. And there’s no shortage–Strava, MapMyRun, Endomondo, Runkeeper, etc. I’ve been using Runtastic for a couple years now–first on an iPhone 5C and now an iPhone SE. Runtastic is cross-platform: it has an Android app, as well as a Web interface you can access from any Internet-connected device. Even if the user interface doesn’t look “native” to the iOS world, the layout is clean, intuitive, and easy to read at a glance. You may notice that screen says “Internet not reachable.” That’s because I have a highly limited data plan, so I use the app with my data off. Still, the GPS tracking works remarkably well, even without Internet or cell data. This is impressive. I loved getting this email! You can set everything to private, though, so no one knows when, where, or how fast you’re running, except you. The site allows you to see some cool stats, too. I loved knowing (and was grateful Runtastic tracked it) when I most often work out! You can also easily import a workout (either a GPC or TCX file) from another app. This process is pretty easy and smooth. You can export a single workout from Runtastic elsewhere, but there is no bulk export option. If you do a bunch of workouts in Runtastic, it’s not so easy to later migrate all that data elsewhere. Other apps are proprietary like this (some accuse this kind of thing as a sort of “holding your data hostage”), although Runkeeper allows you to bulk export your data. Runtastic should add this feature. Easy. Premium. You get ads removed (except for in-house stuff that I’d like also to be able to remove), free training plans, free “story runs,” the aforementioned records tracking, a free 3-month trial to Runner’s World, accelerated response to support queries, and more. (Details here.) It’s a subscription model, so you just have to decide whether you’d use the premium features. The price is definitely reasonable for what you get in return. I’ll have a Runkeeper review posting soon, so will be able to better compare, but from what I’ve seen so far, Runtastic (especially in its Premium version) is the best running app I’ve seen. Check it out here. Thanks so much to the folks at Runtastic who set me up with a trial of Premium so I could review the app! I’ve recorded a 12-minute screencast on how to read a book in Accordance Bible Software. 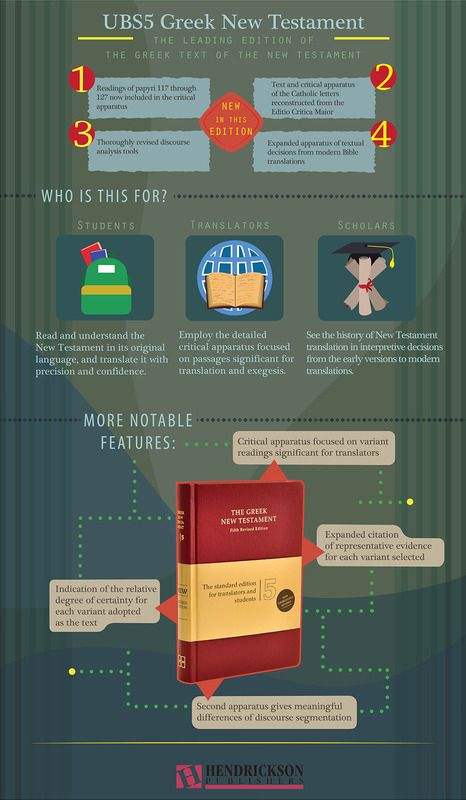 You’ll never read or study a work of theology or biblical studies the same way again. Accordance makes Kindle look like a codex. And there are Interpretation Bible studies. More about these exciting new additions to Accordance can be found here. Thanks to Accordance for access to the Interpretation modules shown in this screencast review. See my other Accordance posts (there are many) gathered here. I recorded the tutorial using the app Capto. I’ve been using Weather Line on iPhone recently to get a visually appealing look at the forecast. Thanks to the folks at Weather Line for the chance to review. You can get the app here. Head on over to Words on the Goods to check out photos, video, and a full review of the 2016 Hess Toy Truck. It’s at least as good as the 2015 model I reviewed here. A fun new tradition!